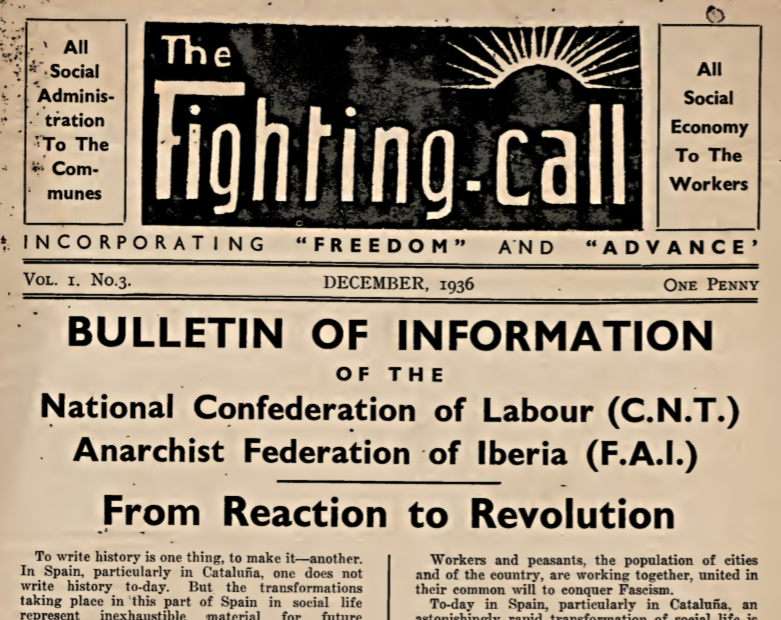 The Fighting Call was a monthly bulletin, produced jointly by the London-based Freedom Group and Glasgow’s Anti-Parliamentary Communist Federation, in support of the Spanish Revolution, and specifically the National Confederation of Workers (CNT). “Again and again in Ireland the revolutionary Republican movement comes a bit of the way towards Socialism, and scurries back in terror when the Roman Catholic Church looses its artificial thunder of condemnation and excommunication. This refers to an attack on the left-wing Republican Congress‘s Easter Commemoration at Glasnevin cemetary that year. 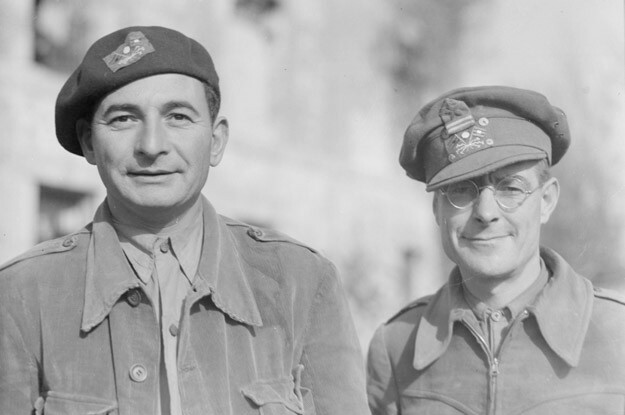 The Irish Centre for the Histories of Labour & Class held a conference on November 13th/14th, 2015 to mark the centenary of the birth of Dr Noel Browne. Among the contributors was Morris Brodie of Queens University Belfast whose paper, ‘Scattered internationalists: Irish anarchism in the interwar world’, looked at the part played by Irish emigrants in the 1920s & 1930s anarchist movement in Britain and the USA; and at the almost forgotten Irish who fought with anarchist columns in the Spanish Civil War.